The Casa program at My First Montessori School revolves around building and strengthening the foundations learned by the students in the Toddler program. They are encouraged to be independent learners and get a strong grasp of educational materials at their own pace and ability. We maintain a 8:1 student to teacher ratio, while each Casa classroom has Montessori trained teachers and Registered Early Childhood Educators. 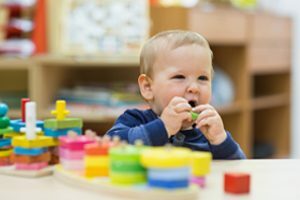 My First Montessori School’s unique Casa program uses the Montessori philosophy along with the Ministry of Education pedagogy on early learning to help children achieve their fullest potential. Please click below to find out more about the domains and skills that the children will work towards. Children enrolled in the Casa program have the potential and opportunity to work on diverse materials. Our classroom is warm and welcoming, encouraging children to feel supported and enjoy their time at our school. 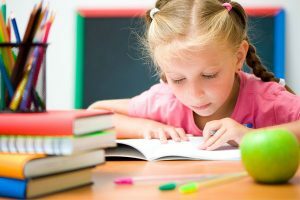 The Montessori style of ‘directing’ rather than ‘teaching’ means that we enhance and nurture the inner ability of each child to learn instinctively. 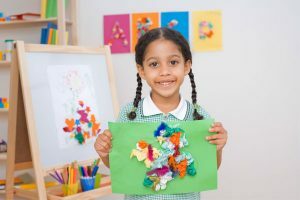 Practical life activities provide the groundwork for physical, mental, and social development, and are the foundation of a Montessori environment. The main purpose for this area is for the child to develop independence, coordination and concentration. The real life experiences that come from the practical life area such as pouring, transferring and dressing help children with their daily life routines. The sensorial materials in the classroom allow the child to refine their sense of touch, taste, smell, sight and sound. The sensorial area builds the child’s concentration for a wider awakening of the senses and perception for distinguishing different qualities and patterns. Many of the exercises in this area are also indirect preparations for later mathematics and language work. The Math area of the Montessori classroom encompasses the use of concrete materials for the recognition of numbers and the recognition of quantity as well. 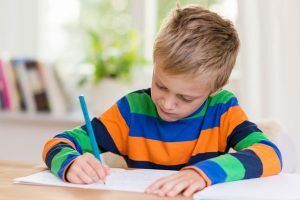 Mathematics activities are divided into six categories : counting and the decimal system, memory work, concrete abstraction, arithmetic tables and geometry. Children are introduced to more complex mathematical procedures and concepts, as they are individually ready. The Language area of the Montessori classroom encourages development of early-literacy. Language skills are acquired in steps. Speaking, learning the phonetic sounds of letters, word building and recognition, writing and reading. The Culture area of the classroom gives children the ability to learn about a variety of subjects in a hands on way that gets kids excited about learning. It also educates them about their culture and the culture of others and respect. The classroom encompasses a variety of subjects which include: Geography, Zoology, Botany, Science, Art & Music and Languages. 12:30pm – 3:00pm Rest time or Montessori Work Period Children who do not require a nap are free to find materials from the 5 areas of the classroom they would like to work with. Children waking up after a nap will join the work period. 3:00pm - 3:15pm Circle Time Children engage in songs, themes and culture presentations. These activities will include art, dance, yoga, martial arts, and physical education. 4:15pm Dismissal/After School Program Begins Children not enroled in the After-School Program must be picked up at this time. 5:15pm - 6:00pm Free Play & Evening Snack Teachers develop a program for children which includes free play, drama, blocks etc. Children will enjoy a variety of activities they can work at as a group to further develop their social skills. A light snack will be provided.